First-time buyers here are paying multiples more for a mortgage every year than the European average. The high rates are combining with a scarcity of properties to buy to price more new buyers out of the market, experts said. The latest figures from the Central Bank show that this country continues to top the league for the highest rates. “Ireland continued to have the highest average interest rate across the euro area on all new mortgages agreed in August, at 3.15pc,” the Central Bank said in its latest statistical release. 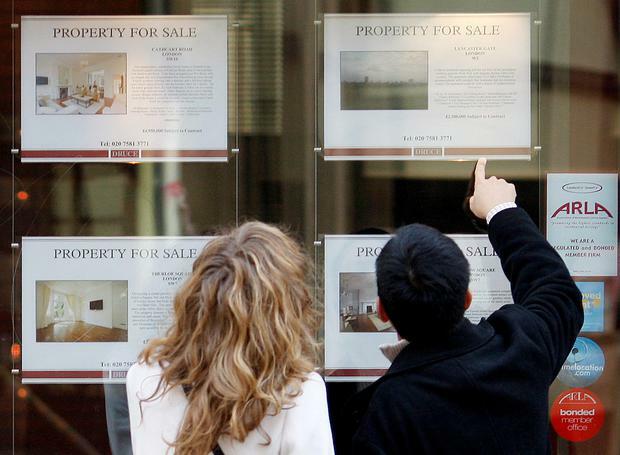 The average interest rate issued on a new mortgage in August was 3.15pc. This was a slight fall from 3.21pc in July. Separate figures from the Irish Banking and Payments Federation Ireland indicate that the average first-time buyer mortgage is now €218,702. Over a year this works out at almost €1,900 a year more being paid here by a typical new borrower than in the rest of the euro currency area, according to calculations by price comparison site Bonker.ie. Daragh Cassidy of Bonkers.ie said that despite the recent rate reductions from some of the main banks, first-time buyers in Ireland continue to pay far more for their mortgage than buyers in any other country in the Eurozone, which is incredibly frustrating. They are aiming to get ahead of expected rises in interest rates which have been predicted for the end of next year. And home owners are fixing mortgages for longer, with a big move to three-and five-year deals. Fixed rates accounted for 65pc of new mortgage lending in the three months to August. This is up from 54pc in May. However, this is still low by European standards where over 80pc of mortgages are fixed. Mr Cassidy warned potential first-time buyers who are at the start of the mortgage journey, to make sure to do research and shop around. There is a large variation in interest rates and cashback incentives across all the different lenders, he said.